Born: May 12, 1970 in Sarnia, Ont. 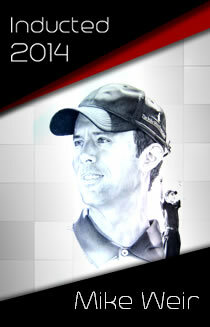 Mike Weir will go down in the history of Canadian Golf as being one of the best players this country has ever churned out. Throughout his career, he played on five Presidents’ Cup teams, represented Canada four times at the World Cup, won eight PGA Tour tournaments—his biggest was the 2003 Masters, where he became the first Canadian male to win a major.